David R. Hardoon is head of analytics at SAS Singapore, where he is responsible for the positioning of business analytics capabilities and solutions to customers across different business sectors. Dr. Hardoon is also an adjunct faculty member in the School of Information Systems at Singapore Management University and an honorary senior research associate in the Centre for Computational Statistics and Machine Learning at University College London. His research interests include developing and applying computational analytical models for business knowledge discovery and analysis in areas such as taxonomy, neuroscience, aerospace, and finance. He earned a PhD in computer science in the field of machine learning from the University of Southampton. Galit Shmueli is a SRITNE chaired professor of data analytics and associate professor of statistics and information systems at the Indian School of Business. She is the author of 70 journal articles, references, textbooks, and book chapters in statistics, management, information systems, and marketing. Her research and teaching focus on statistical and data mining methods for contemporary data and applications in information systems and healthcare. She earned a PhD in statistics from the Israel Institute of Technology. "… an excellent book introducing the essence of business analytics and providing a good summary of the analytical solutions employed across various industries and organizations. … a solid, accessible overview. It bridges the worlds of business and statistics and describes business analytics from a noncommercial standpoint. 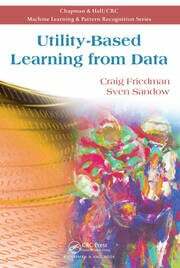 It is highly worthy of consideration as supplementary teaching material for students who are taking courses related to business analytics or data mining. Looking back at my teaching career in the field of statistics and business analytics, I confess that it would have been very helpful to have had this kind of book in hand. 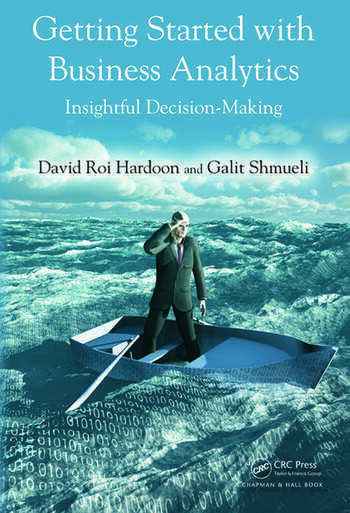 … a great guide and a must read for managers, executives, or consultants who want clarity with business analytics." "… an interesting ‘how to get started’ book about a contemporary and challenging development in business. … This timely, accessible book is relevant to students, managers, analysts, executives, consultants, and the general public. Recommended." 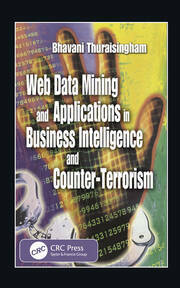 "A must read for college students and business managers interested in big data and analytics. The book beautifully integrates the business and technology aspects of analytics. It provides in-depth know-how to enable the reader to ‘know’ what and ‘how’ to effectively leverage analytics to deliver business solutions. If you want to get into business analytics, start your journey here!" "This book offers an introduction to the essence of business analytics, providing a good summary of the analytical solutions employed across these industries today, including an updated vocabulary on new domains such as social media. The reader will appreciate the difference between supervised and unsupervised learning, k-means clustering and regression tree classification. … Getting Started with Business Analytics will simplify, and demystify, the concepts around the 'science of data.' Looking back at my career in the field of business analytics, I realize that it would have been extremely helpful to have had such a book in hand. It would have provided me with guidance on structuring my analytical solutions and would have inspired me to greater creativity. I hope this book will light the spark of curiosity for a new generation of data scientists."